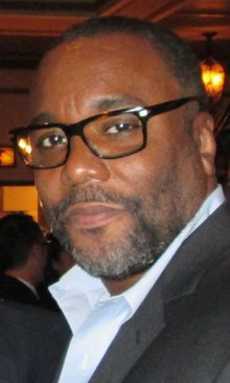 Lee Louis Daniels, born on Christmas Eve, in Philadelphia, PA, a successful feature film director or producer, is now turning his attention to Television. His feature film credits include The Butler, Monster’s Ball and Precious. He graduated from Radnor High School and then went to Lindenwood University in St. Charles, Missouri. Note: Halle Berry won an Academy Award for her role in Monster’s Ball, and Mo’Nique won her Academy Award for her part in Precious. His entertainment career began as a casting director and manager after a chance meeting with a Hollywood producer, and he has worked on Under the Cherry Moon and Purple Rain. In this interview, Lee talks about directing, Empire, the new nighttime soap opera, that co-stars Terrence Howard and Taraji P. Henson. Here, he talks about directing the new nighttime soap opera Empire, costarring Terrence Howard and Taraji P. Henson. Lee Daniels: Great, Kam. How are you? KW: All is well, thanks. What was the source of inspiration for Empire? LD: My partner, Danny Strong, came to me with this idea of telling a story about my life, and merging that with music and the Hip-Hop world. He wrote The Butler and originally wanted to do Empire also as a movie. KW: I had no idea it was semi-autobiographical. Why TV, as opposed to the big screen? LD: What happened was we decided that’s enough with movies, let’s do it for television so that we could bring this to life for America on a weekly basis. It picks up, historically, where The Butler left off, and deals with race relations. It’s a little bit like my family, a little like some friends of mine with money, their world, and a little like some of my friends without money, their world. I think it’s the African-American experience. KW: Which character are you? Lucious Lyon [played by Terrence Howard]? LD: I’m Lucious… I’m Jamal… I’m all of the characters. My sister and my cousins are Cookie [played by Taraji P. Henson]. Cookie’s little bit of all of them. KW: Harriet Pakula-Teweles asks: How do film actors like Terrence and Taraji make the transition from the big screen to the small screen? LD: That’s a very good question and a very complicated one, because with film we get the luxury of time. It works at a different pace. It’s nice and slow. As a film director and as film actors, you get used to a certain rhythm that’s slow. But with TV, it’s hurry, hurry, hurry, hurry, hurry. It’s a different pace. So, it’s about adjusting to the pace. It’s not meant for everybody. KW: Has the frenetic pace frustrated you? LD: No, I think it’s made me a better director, because I have to think fast. I no longer have the luxury of taking my time. Does that make any sense? KW: Absolutely! Chalyn Toon asks: Did you consider other actors or did you always envision Taraji and Terrence for the lead roles? LD: I always considered Taraji, but even though Terrence and I are very good friends and had worked together on The Butler and were thinking about doing The Marvin Gaye Story. But I didnA’t know if he’d do TV. I was thinking of Wesley Snipes for the role, but word on the street was that Taraji wasn’t feeling it anymore. Then she told me, “I’ll do it, but only if Terrence does it.” I went, “girl, you ain’t even got the job yet.” And I was like, “Terrence ain’t going to do TV.” But then he said he would, and there you go. KW: Chalyn also says: Most writers avoid dealing with homosexuality within the black community. What made you choose that path? Unlike your counterpart, Shonda Rhimes, who has depicted white males in a passionate relationship, perhaps to target a whiter audience, you’ve put two males of color in a gay relationship. Why did you choose to do so? LD: I did it because I think it’s time to destroy a myth in the black community about gay men. When I was doing research for Precious, I went to the Gay Men’s Health Crisis here in New York City, because the movie dealt with AIDS. What I expected to see was gay men, but what I found were African-American women and children who’d been infected with HIV by black men on the down-low. They were on the d-l because their pastor says, because their minister says, because their neighbor says, and their homeboy says, “You can’t be gay.” Black men on the d-l are killing our women. I can’t hate the men on the d-l, I only hate that they’re on the d-l, because our people forced them to be. So, this is really dedicated to educating. This is the civil rights movement of our generation. KW: Editor/Legist Patricia Turnier: You are working on a Richard Pryor biopic. What does he mean to you? LD: The more research I do, the more I uncover not only his brilliance, but how much of a pioneer he was at a time that was harder on African-Americans than it is right now, if that’s imaginable. His experience as a black American was very similar to mine. We both come from troubled backgrounds. He was very open about his sexuality, and what he did, and he spoke the truth. And he fought for the truth for everybody. And because he was so tormented, he was a drug addict, and so was I. Our similarities are strangely connected. So, he speaks to me. He was ahead of his time, and he didn’t even know that he was changing the world through humor. He was uniting African-American and white Americans through his humor. He didn’t know, and I hope to do him justice. KW: Marcia Evans says: Lee, I’m major proud of all your work, and I’m digging Empire. Congratulations on your weight loss. You’re looking good. Vegan is working for you. LD: [Belly laugh] I’m not really vegan. I’m vegan-ish. I have a piece of lamb every now and then. KW: Thanks again for the time, Lee, and best of luck with Empire. LD: Thank you, Kam. Talk to you soon.